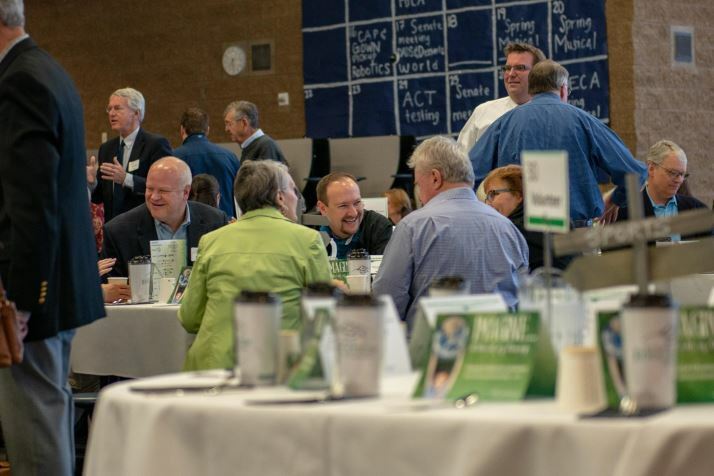 Our 2019 Annual Fundraising Breakfast was held March 28 at Glacier Peak High School. A record $77,000 was raised! 275 pairs of new shoes provided on average annually for students in need through the Hansen Shoe Fund. Saxton Bradley, Inc., The Boeing Company, Corstone Contractors LLC, Coastal Community Bank, The Beresford Company, George Orthodontics, Kusler’s Compounding Pharmacy, Centennial Family Dentistry, Koz Development, Mountain Pacific Bank, Ideal Communications, Moss Adams, Wyser Construction, Chartwells, Inquisitek, Foster Pepper, Heritage Bank, Skydive Snohomish, Harvey Airfield, Snohomish Flying Service, Chinook Lumber, Community Transit, Snohomish Storage on Bickford, PLC Insurance, Alpine View Veterinary Hospital, McKinstry. Thanks so much for your great support of our Annual Breakfast event.